A gaming addiction can affect a person’s physical and mental health, personal relationships, and work or school. A person who has a gaming addiction will continue to play despite the negative consequences it causes. Excessive gaming, whether played online or not, can lead to isolation, social anxiety, and depression. 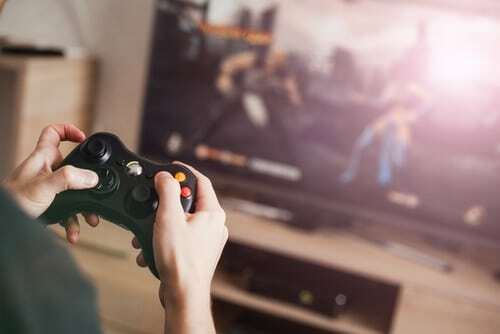 The World Health Organization (WHO) recently announced, “gaming disorder as a new mental health condition included in the 11th edition of its International Classification of Diseases,” which was released Monday, June 18, 2018. The WHO says the new diagnosis affects individuals who have lost control over their gaming habits, leading them to neglect everything else in their lives, remaining stuck in virtual worlds even as problems in the real world resulting from their addiction become apparent. Angry and irritable when the game is interrupted. When a person has a gaming addiction, he or she will become angry or hostile when their game is interrupted. This can cause friction among family and friends and put a strain on relationships with loved ones. Gaming becomes the person’s number one priority. Neglects responsibilities. A person with a gaming addiction will ignore responsibilities such as bills, school, or work. He or she may often be late to school or work, or not show up at all. Fatigue or insomnia. Excessive gaming affects a person’s sleeping patterns. Sometimes, he or she will avoid sleep to continue playing the game. Sleep patterns are affected and the person can develop fatigue, insomnia, and eyestrain. Poor diet and nutrition. A person who is addicted to gaming will skip meals or eat sporadically throughout the day and night. He or she is at high risk for obesity or other nutritional and diet-related problems. Social problems and isolation. The person becomes secluded and withdraws from in-person relationships. He or she develops online friendships with the other players. If the person has underlying social anxiety, the online world is more comfortable because he or she can hide their identity or use an avatar as a profile. If playing video or online games significantly impairs the ability to maintain healthy relationships, seek help. Gaming addiction is treatable.